The WMSC has been very busy since its inception in 1981. Domestic and international travel have taken us to Iceland, the U.S., France and - repeatedly - Britain. Numerous lectures and walks, hands-on activities and other great social events have been offered on an almost monthly basis. Here's the list of events since 2002. January: A tour of the MacDonald Block artworks before the building closes for several years for a major renovation project! February: A talk by Alison Syme, Associate Professor of Modern Art at the University of Toronto. A talk on Pressed Flowers, Burne-Jones, and the Romaunt of the Rose, from visuals traditions to popular culture. March: Our annual symposium was themed this year on Arts & Crafts Furniture! Insightful and enlightening talks were given by speakers Max Donnelly, Brad Christakos, Peter Fleming, and Leigh Dotey. The symposium finished with a Morris Birthday celebration, celebrating his 185th, with a cake in the "Seaweed" pattern! January: Group Tour of "Diligence and Elegance: The Nature of Japanese Textiles" at the Textile Museum of Canada, with over 50 textiles and garments from the museum’s collection of 19th and 20th century artifacts made in Japan for both everyday and occasional use. Luxurious silk and gold fabrics produced in Kyoto’s professional weaving workshops are juxtaposed with domestic indigo-dyed cotton, plant-fibre cloth, and silk kimonos crafted in an astonishing spectrum of time-honoured techniques. 1. An exciting talk by Trevor Lloyd about science fiction and time travel in the works of William Morris and HG Wells! Discussion centred around the writing of utopias, and the turn in the literary canon in writing dystopias. 2. A members-only tour of an Arts and Crafts home in Toronto. The property has been the home of renowned stained glass artist Sarah Hall. The house was built by a builder who worked for Eden Smith and who had built two homes to the east. While designing this house for his sister, the builder was inspired by the Eden Smith style of arts and crafts. In their illustrated talk, Sheila and David Latham told stories about the 25 original works of Pre-Raphaelite art they have happened upon and acquired for their collection over the years. "A Whimsical Pre-Raphaelite Collection" was followed by cake in the 'Artichoke' pattern. Megan Arnott, U. of Western Michigan, provided an illustrated lecture exploring the history, literature and contemporary images of the Norse visitors in Canada. A joint lecture with the Arts and Letters Club to prepare for our Newfoundland tour! 1. Lecture by Adrian Gamble; presented jointly with The Arts and Letters Club on Eden Smith. 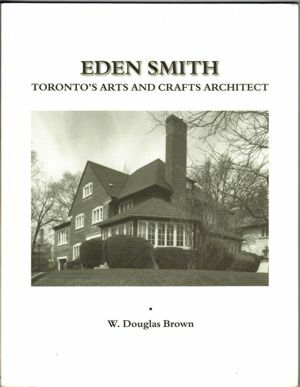 This presentation covered the life and times of Eden Smith, with a focus upon his work, cultural connections, and the evolution of his style throughout the course of his long career. 2. Lecture at the ROM with master block carver Kondra Gangadhar, dye expert Jagada Rajappa, and researcher Rajarshi Sengupta as they explore the local knowledge structures that underlie the arts of carving woodblocks, dyeing with natural sources, and weaving complex silk himroo cloth in the Deccan. 3. Inspired by the true story of Viking swords in the ROM's collections, historian Douglas Hunter offers up a real-life museum detective story. In 1936, long before the discovery of the Viking settlement at L'Anse aux Meadows, the ROM made a sensational acquisition: the contents of a Viking grave that prospector Eddy Dodd said he had found on his mining claim east of Lake Nipigon. In 1956 the discovery was exposed as an unquestionable hoax, tarnishing the reputation of the museum director, Charles Trick Currelly, who had acquired the relics and insisted on their authenticity. An illustrated lecture by Clifford Goldfarb about Arthur Conan Doyle, the Toronto connection, and the arts and crafts movement. WMSC Holiday party! At the stunning Wedgewood room at the UofT Faculty club! 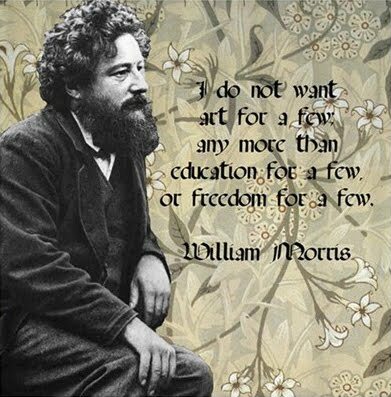 March: Birthday Celebration in honour of William Morris's 183rd birthday, featuring lecture, "Morris in Oxford" by Dr. Sheila Latham, followed by toast and cake. April: Lecture by Andrew Pruss, "Eden Smith and Three Carnegie Libraries". This illustrated talk by architect Andrew Pruss presents the circumstances surrounding the construction of these libraries and Eden Smith’s background, career and work on the projects. It also examined the fabric of these buildings and their evolution since construction. This one-day event was jointly hosted by The Guild of St. George and the William Morris Society of Canada. The symposium focused on the influence of John Ruskin and William Morris on craftsmanship, both in their own time and on those who continue to honour that legacy in their work today. 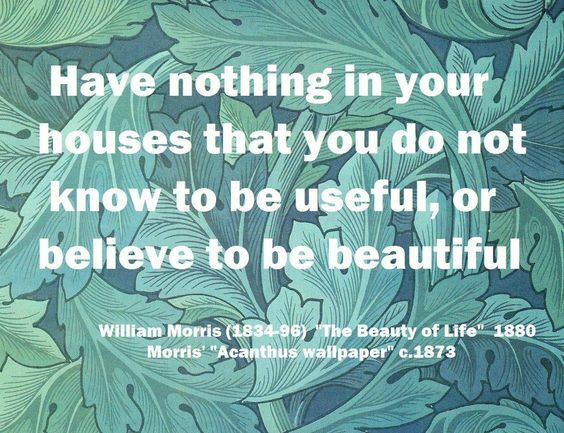 September: "1886: A Year in the Life of William Morris" Lecture by John Wichelow. Countless journeys throughout the British Isles to spread the socialist cause from street corners, his translation of The Odyssey, Home Rule for Ireland, running the business at Merton, discussing the Adoration of the Magi tapestry, working on A Dream of John Ball, appearances in court, precious time with his family, and volumes of correspondence with his numerous friends. October: 3-Day Bus Tour of East Aurora and Buffalo, NY. Staying two nights at the beautiful Roycroft Inn. Visiting Frank Lloyd Wright houses. Arts & Crafts exhibition at Burchfield-Penney Gallery, Knox Farm. Plus other Buffalo area historical & architectural sights! By the end of the 19th century, Newfoundland and Labrador craftspeople were well aware of European, American, and Canadian social and aesthetic movements. Traditional indigenous handwork, the Moravian Mission, Eaton's catalogue, the Grenfell Mission, NONIA, the Jubilee Guilds, all contributed design and manufacturing innovations. Traces of all these influences, plus the post-WWII craft revival, are evident in the province's handwork to this day. 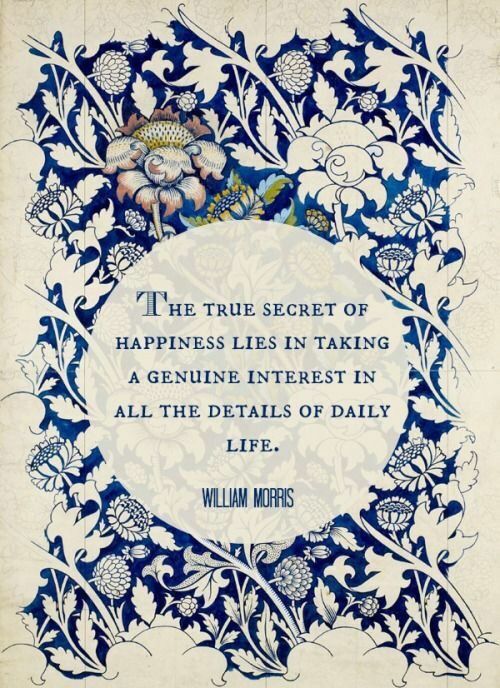 December: The annual William Morris Holiday Dinner! January: Tour of the Textile Museum of Canada and the exhibition, "Home Economics: 150 Years of Canadian Hooked Rugs"
March: Birthday Celebration in honour of William Morris's 182nd birthday, featuring lecture by potter Joseph Panacci and toast with cake. April: Lecture by Dr. Ann Gagné: "Ruskin’s Guild: Craft, Nature, and the Influence on Morris"
March: Symposium and Birthday Celebration: Morris and History: historical transformations in William Morris's poetry, prose and design. February: William de Morgan: Modern or Anti-Modern? March: The WMSC Symposium: "In the Footsteps of William Morris"
April: "Voyages to 'Nowhere': the Politics of Pastoral and the Perils of the Utopian Form"
March: A party to celebrate Morris's 172nd birthday and the WMSC's 25th anniversary. March: The Grange Spring Lecture: "The Greatest Pleasure I Have Ever Had"
November: A New Members' Evening: An Introduction to William Morris.